Hmmm…. 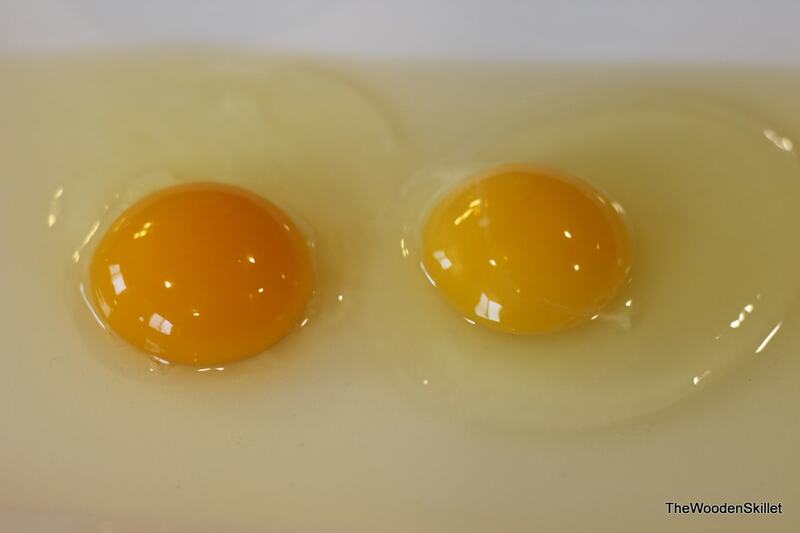 Can you tell the difference between these two eggs? Let’s see, the one on the right is from the cheapest carton of eggs you can buy at the store. The one on the left is from my Dad and Step-Mom’s house in Wisconsin where they let their chickens run free (pasture raised). Why is the cheap egg such a light-colored yellow while the free-range chicken egg looks dark, rich and full of nutrients? And the taste! You can’t even compare them in my book. The free-range egg is so flavorful. When you taste it, you suddenly realize that you really haven’t actually tasted a real egg your whole life – you realize what you have been missing!